Ananya S. Guha plays with words like one in control and command of his oeuvre. He has been pursuing the prosodic route quietly with the seriousness it deserves. Widely published across the globe his output bears testimony to his labor of love. His writing has fluidity, an ease that hooks the reader. Ladies and gentlemen, it is an honor to interview the ace wordsmith, worthy of his stature in the realm of contemporary poetry in English. Sanjeev Sethi: You have just released your latest book Hills of Slow Time (Dhauli Books, Bhubaneswar, 2017). How does it feel? 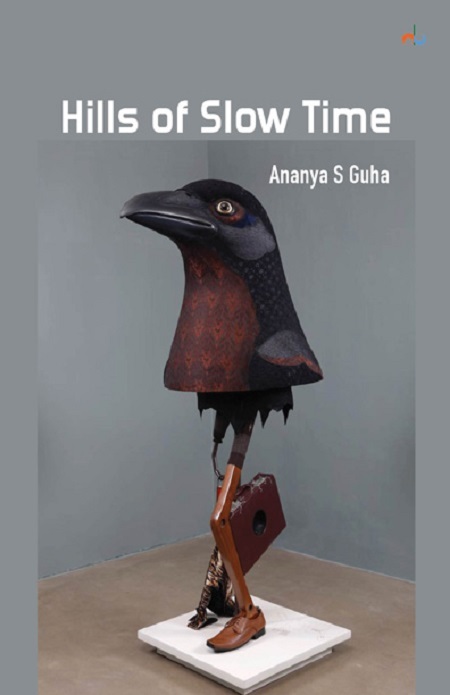 Ananya S. Guha: It feels very good to have released a book. It is like releasing tension, which has grown within you for years. A book is a birth. Each book is one. But questions come: how long will it live? Will people notice it, will it be reviewed? Publishing a book is a slow process, that process originates in writing and then getting your poems published in journals. After publication of a book your emotions are mixed: there is joy, fear, nostalgia, you think of how you struggled to publish this one. You think of the people who have helped you. There is gratitude as well. 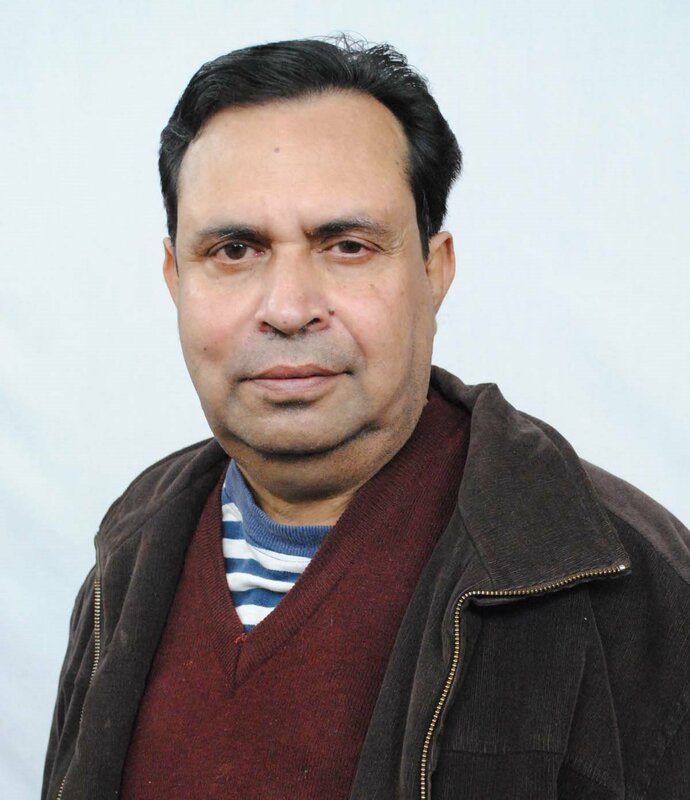 It is very tough to get poetry published in book form, so you think also of challenges that were met, and challenges ahead. SS: The first thought that hit me after reading Hills of Slow Time: after a lived life of chasing muse and her mysteries the poems move effortlessly. You can’t earn this in two or three years? Please comment? ASG: No, you can’t. Writing poetry is a long process of lived experience. Memory plays a huge part, so do relationships. So you start examining relationships, and then you start examining a relationship you have with the place that you lived in, its sights, smells and sounds. In Hills of Slow Time I find myself rooted in these hills where I was born and, grew in. They are almost human for me- anthropomorphic. They are valued in time, memory, history and timeliness. They orchestrate both the past and the present. SS: I noticed this. Your surroundings more so Nature inhabits your poems? ASG: Yes, Nature, because I have lived with it all my life. Also because nature here is intrinsically beautiful. It evokes shapes, moods and colors. There are movements within and outside. Nature is a huge monument, a monolith, yet we abuse it. It is pristine as well. I want to preserve it unsullied as an architecture, a monument of love. SS: Just before Hills of Slow Time you published Now, Then And Again (Kindle edition, Scarlet Leaf). How different are the two set of poems? ASG: They are different in the sense the latter is more social and, if I may say so, political. That was a phase of wrong things happening in the country, and I reacted to them. I still continue to react because they are still continuing. Poetry has strong social mores. One cannot throw them into oblivion. Political mores as well. SS: You have been publishing poetry for more than three decades? 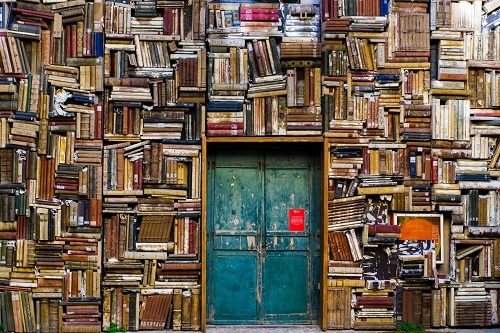 In an insular, arid landscape of publishing poetry: what is your drive? ASG: My drive is commitment to poetry as an art form. It may not bring you money, but it can bring recognition. I do not mean fame here. By recognition, I mean the recognition that you write poetry, or that you are a poet. That comes out of years of perseverance and commitment to a craft. The landscape of poetry pulled by marketing forces may be arid, but it is not insular. Poets are always recognized for their efforts, even if this may come reluctantly. SS: The internet has opened up the poetry market. It is a free world out there. Everyone and his/her grandmother are praising this? Do you see a downslide? ASG: No I don’t. I think it is growing constantly. It is poets who themselves edit online poetry journals. The internet has created unbelievable, quality open spaces for poets and poetry. SS: Do you think social media helps the poetic movement or…? ASG: Social media helps the poetic movement to the extent that you can share poetry and be noticed, by your peers and other writers. Social media and the internet are a means to a creative end. SS: Is the lack of money in poetry a good or a bad thing? ASG: It is neither good nor bad. If you can earn some money why not, but you cannot make it synonymous with money solely. The expression poetry does not sell is both correct and incorrect. It may not fetch money, but it can ‘sell’! By this I mean that you may not get your cash but you can be an acknowledged or popular poet. SS: Do you have a view on slam poetry? ASG: No I do not have a distinct view. Yes I can think of recitation, good, clear recitation. I am not sure of ‘performance’ too. But when you read your poems, you intone thoughts, movements and processes. You articulate a diction for your poetry. It is a very creative act. I don’t believe in such words. They are simply sensational, that is all. Poetry is meditative, quiet, even when you are angry! 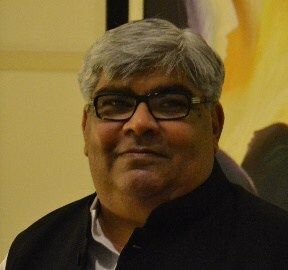 Sanjeev Sethi is the author of three books of poetry. His most recent collection is This Summer and That Summer (Bloomsbury, 2015). His poems are in venues around the world: The Broadkill Review, After the Pause, Former People, Unlikely Stories Mark V, Stickman Review, Ann Arbor Review, Neologism Poetry Journal, Home Planet News, Morphrog 16, Postcolonial Text, Communion Arts Journal, Bold Monkey, and elsewhere. He lives in Mumbai, India.